Riccardo Pozzo is Director of the Department of Humanities and Social Sciences, Cultural Heritage of the National Research Council of Italy. He has published monographs on Kant (Maia, 2014; Akal, 1998; Lang, 1989), the Renaissance (Schwabe, 2012), the Enlightenment (Frommann-Holzboog, 2000), and Hegel (La Nuova Italia, 1989). He has edited or co-edited the lecture catalogues of the University of Konigsberg (Frommann-Holzboog, 1999) and books on Dilthey and the methodology of the history of ideas (Meiner, 2010; Harrassowitz, 2011; Frommann-Holzboog, 2011), Kant on the Unconscious (Walter de Gruyter, 2012), the philosophical academic programs of the German Enlightenment (Frommann-Holzboog, 2011), and the impact of Aristotelianism on modern philosophy (Catholic University of America Press, 2003). 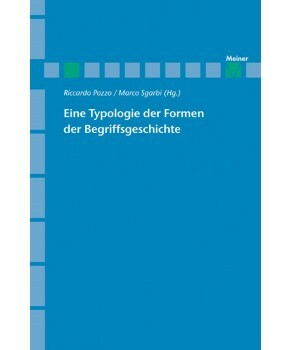 His articles have been published in Journal of the History of Philosophy, Studi Kantiani, Kant-Studien, Archiv für Begriffsgeschichte, Giornale critico della filosofia italiana, Hegel-Jahrbuch, History of Science, History of Universities, Jahrbuch für Universitätsgeschichte, Review of Metaphysics, Rivista di storia della filosofia, and Topoi.